Welcome to Exotic Scales and How to Use Them Effectively! You can choose to learn any scale in any order, making sure to take advantage of the downloadable resources included where relevant. While it’s important to have a basic understanding of each concept after you learn about it, you can feel free to move on to the next lesson before you’re 100% confident in the material–it all tends to internalize as you progress. If you’d like tips on creating a practice schedule from the information you learn, click here. Enjoy, and good luck! The Byzantine Scale is the poster child for weird fingerings and weird position shapes. The cool thing about it is once you get some of these shapes down, it really influences how you use the scale because of the way the shapes are laid out and how they fall under your fingers on the fretboard. The Japanese Scale, otherwise known by other names such as the Kumoi Scale, is an extremely useful sound. The Japanese Scale will primarily work well over minor tonalities and minor chords so you can hear that minor sound. The less notes a scale has, the more fun it is to play in the initial stages, as you have less to memorize and can target the spots you like best quicker. The Gypsy scale is somewhat synonymous with the legendary two-fingered guitar master Django Reinhardt. 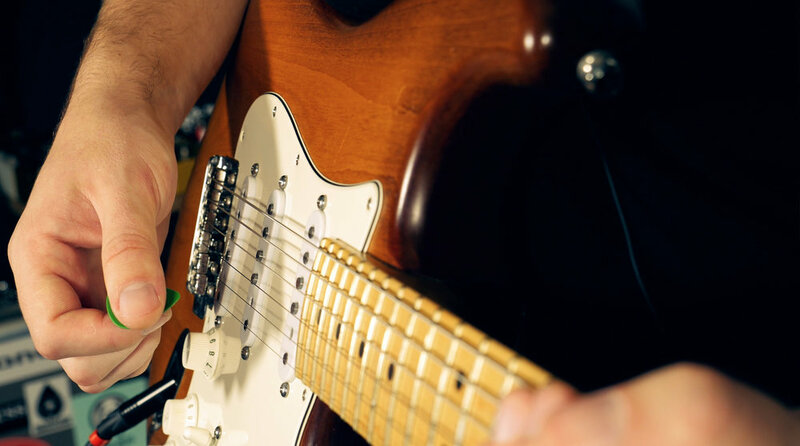 With only one note that separates it from the Harmonic Minor scale, this mysterious and exotic sounding scale will expand the realm of your otherwise more traditional sounding minor blues licks. The Whole Tone Scale is certainly not a scale to rely on for more than a few notes at a time, and works best when blended in with other scales to create an altered sound. From blues to jazz and even metal, the Whole Tone Scale can be a bridge between diatonic notes to create an eerily hip sound.